Some designs take quite a bit longer. But… Coming soon! Last summer when I briefly stayed with my brother and SIL in Scotland we had a nocturnal visitor in the garden. While we enjoy seeing squirrels and many beautiful birds in our garden in Holland, we don't have foxes in our village. Perhaps better not either. 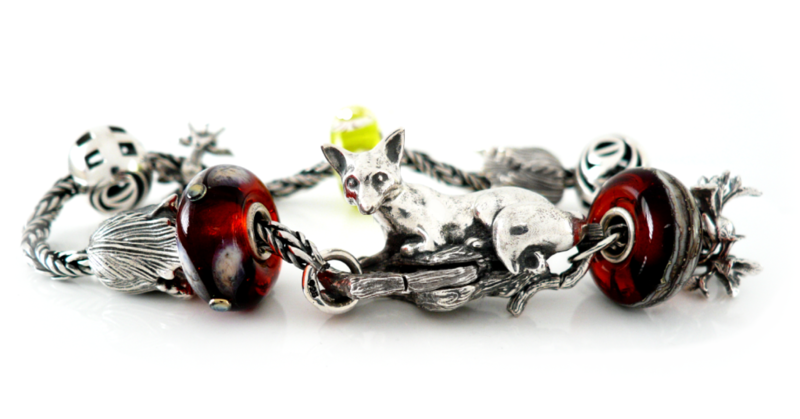 Faerybeads Fox lock. Expected release date end of May. 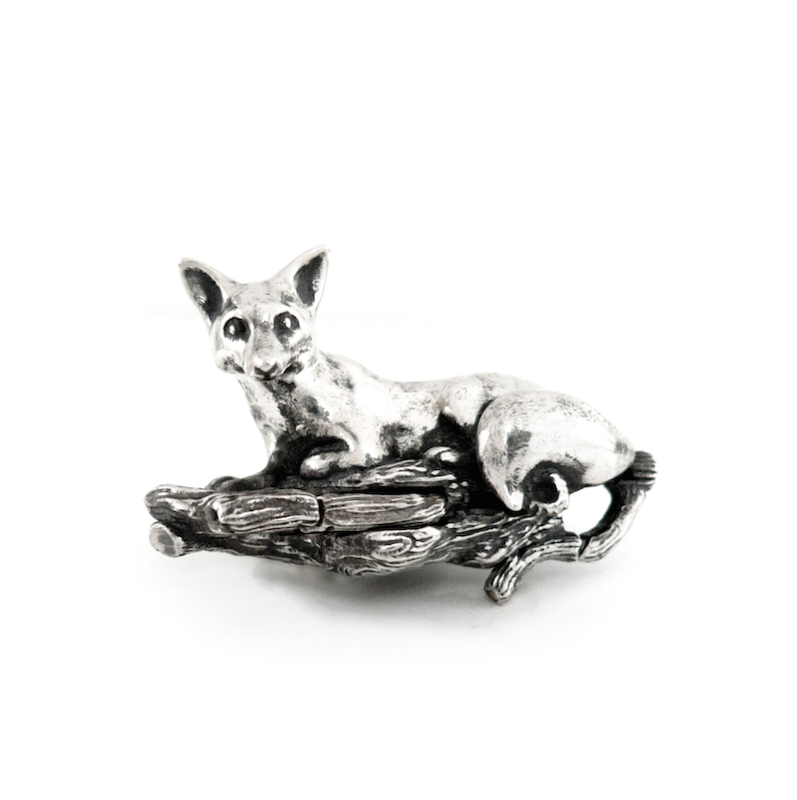 For size reference I've put the fox (or vixen ) on a chain. It's slightly higher than Faerybeads' Leopard lock. I can't see the photo...all i see is a square with "Oops! 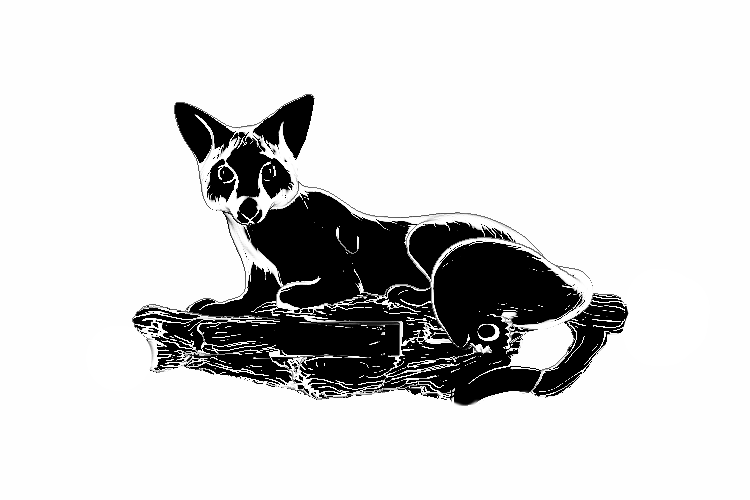 Your Image was linked incorrectly"
Inside the Enchanted Forest a Fox rests after frolicking around all day. Expected release and shipping date between May 27th - June 10th for preordered locks. Now I can see him, and he's wonderful! It's really cool, I love it.